This post is sponsored in part by The Land of Nod. 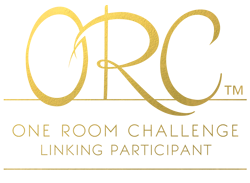 Welcome to week 2 of my One Room Challenge project. As I mentioned in last week's post, I've decided to tackle my 12-year-old daughter's bedroom as my project. My daughter is in love with the color mint...or aqua...or turquoise...or really anything of the blue-green variety. So that was her first request when it came to her new room. To give her all the "mint" her little heart could desire we chose this pretty ribbon trim quilt and a matching Euro sham from Pottery Barn Teen. Then because she specifically asked for a layered look...and because I wanted to bring in some navy blue, we added this pretty Trellis Duvet Cover also from PBT. The trellis pattern is definitely trendier, and I like to bring trendier patterns in using less expensive items like a duvet cover, so it wont hurt the wallet as much when they need to be replaced in a few years. Which brings up my next point. As I also mentioned in last week's post, I'm up against a pretty tight budget for this room, and I was lucky enough to score an awesome deal on the bedding! Not only was it on sale, but I had an extra 15% coupon so I saved oodles! We're punching up the color factor with the addition of the adorable Color Static Rug from Land of Nod. It gives us a limitless palette from which to choose accessories and also gives my daughter a subtle addition of the chevron pattern she loves so much. And it's so thick and comfy...I just love to walk on it. Ha! Finally, owls are an absolute favorite of my daughter, so I couldn't resist this pretty print for her room from Skyline Art Editions. Next week, we'll talk furniture and paint and other fun stuff. Hope you'll join me then! 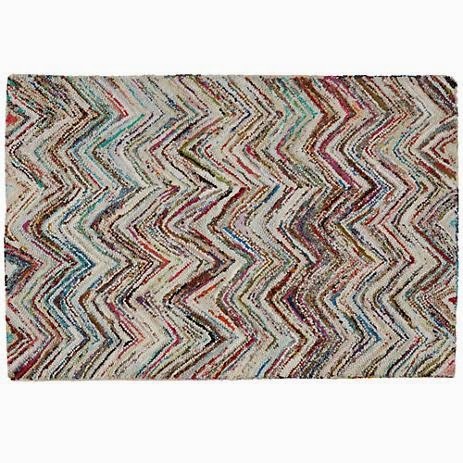 I received the Color Static Rug from Land of Nod free of charge. The opinions expressed about it are 100% mine. I love the Color Static Rug! SO cute! 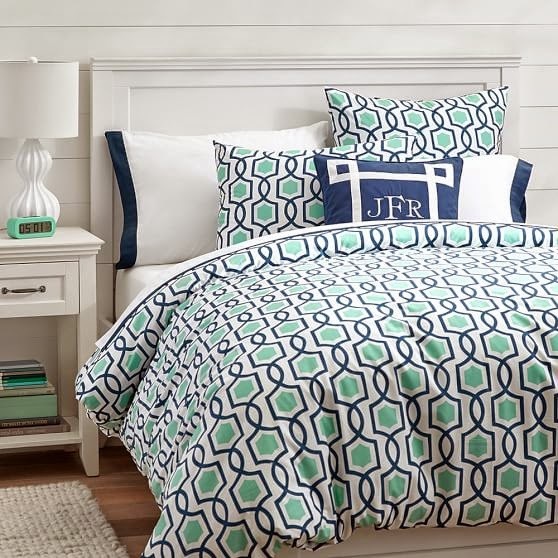 I love that trellis duvet and those cute owls! Can't wait to see the finished room! You made some lovely choices and I know your daughter is going to have an Awesome room! I am looking forward to you next steps. 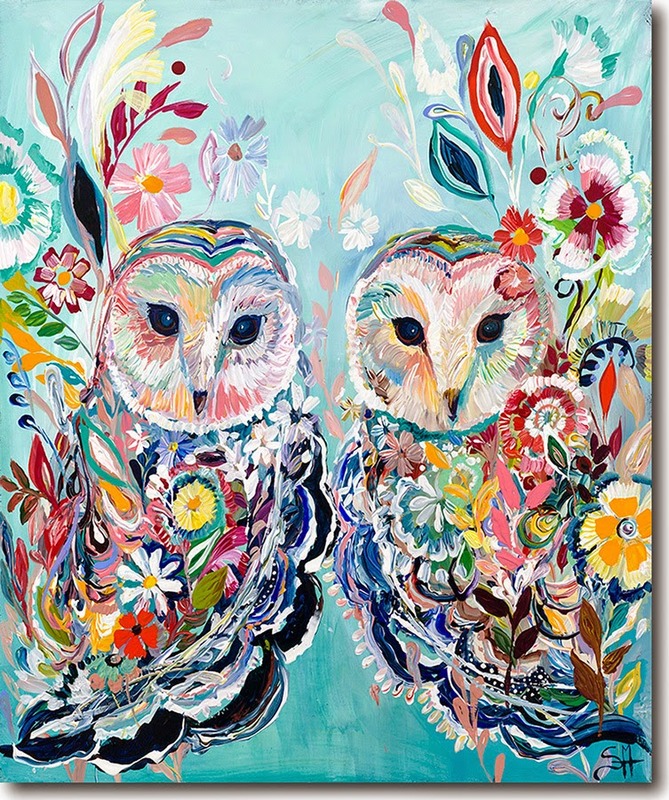 LOVE the owls, and all the color and patterns. It's going to be gorgeous! Love the bedding and the art work! Super cute bedding! Love where you are going with this room.